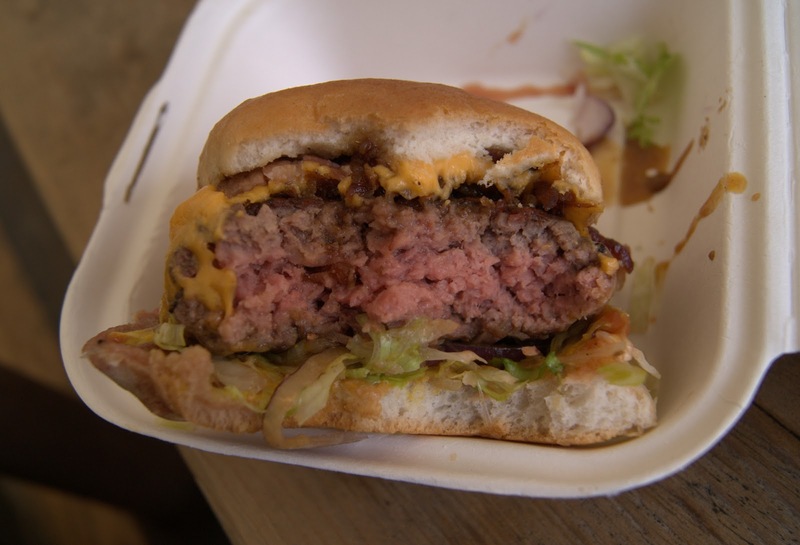 It's not very often I think less meat would be better, but closing my Greedy Bear review I was left with expectations of the single patty Grizzly Bear being a better burger than the double, which I found slightly too big a mouthful. Read Greedy Bear review here. 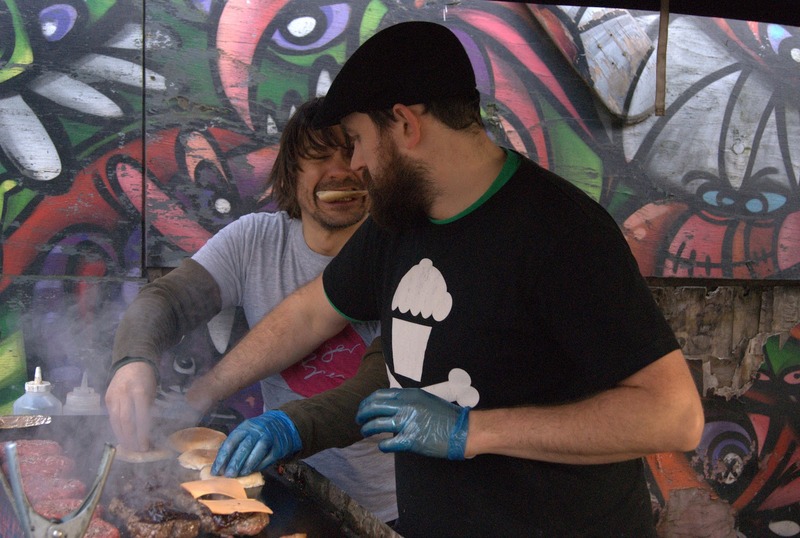 The short space of time between visits appeared to have been very successful for Burger Bear Tom - The Bacon Jam, which he uses on his burgers, has gone on sale and has received a lot of positive twitter press and subsequently demand has exceeded supply. Thankfully I managed to bag myself a jar, however 1 week on the jar is empty - it's that delicious. 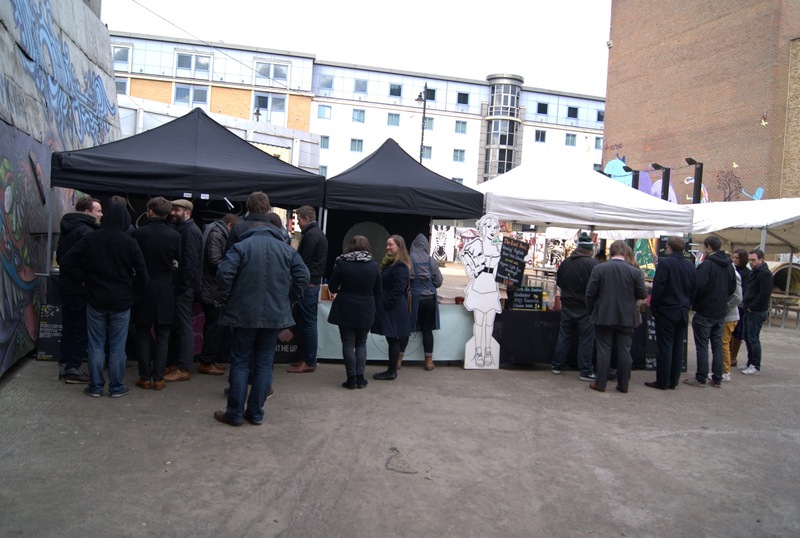 Arriving at the market around 1ish it was noticeably busier then before with 2 stalls, Batch Bakery & fleischmob, next to the bear and a good 10 people in queues waiting for their burger fix. Despite the numbers Tom still manages to create a good atmosphere with music playing, engaging in conversation with everyone, and orders still being turned around pretty quickly. I wouldn't say you could enjoy a queue or waiting for food, but this is probably as close as you can get. So was I right that the single patty was better...I'm still undecided. The main issue before was the colossal size of the burger and with 1 patty less this wasn't an issue. The reduction of meat did allow the other flavours to really come through also, especially the fantastic bacon and bacon jam. 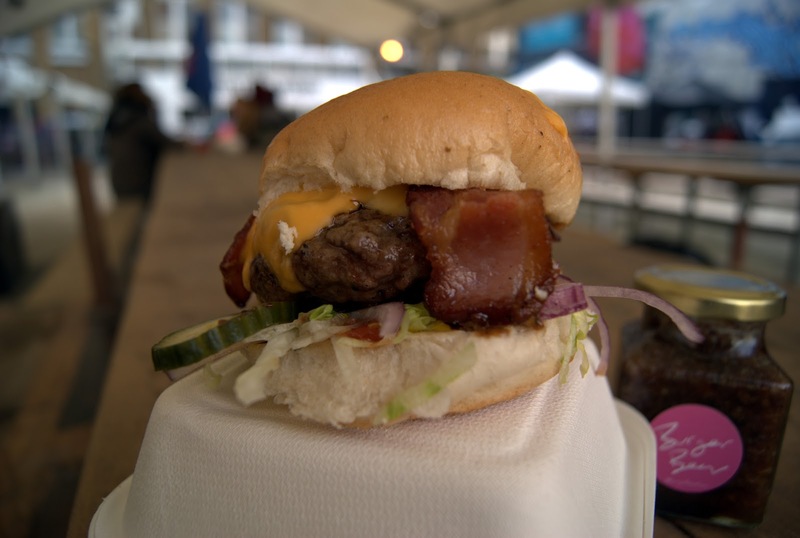 The bacon again is as good as you get and the perfect topping to this burger, a credit to Tom for his effort he goes to in double smoking. The conundrum I have is the grizzly didn't feel like enough, I would have possibly ordered another if I didn't have to get back to work, and the greedy was too big previously - euphoria for me would be 2 ever so slightly smaller patties in the greedy bear. 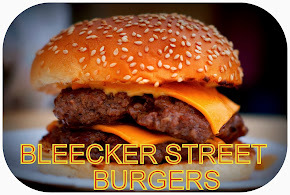 Still, with consistency being the main difference between somewhere I would recommend to people and not - Burger Bear Tom has delivered 2 for 2 so far with well cooked and great tasting burgers - Add to that the great atmosphere he creates, I can't wait for the summer at Red Market. 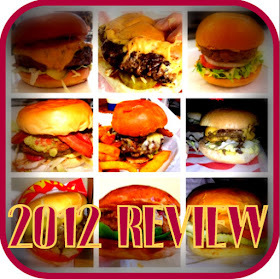 As a burger addict i cant thank you enough for this blog. 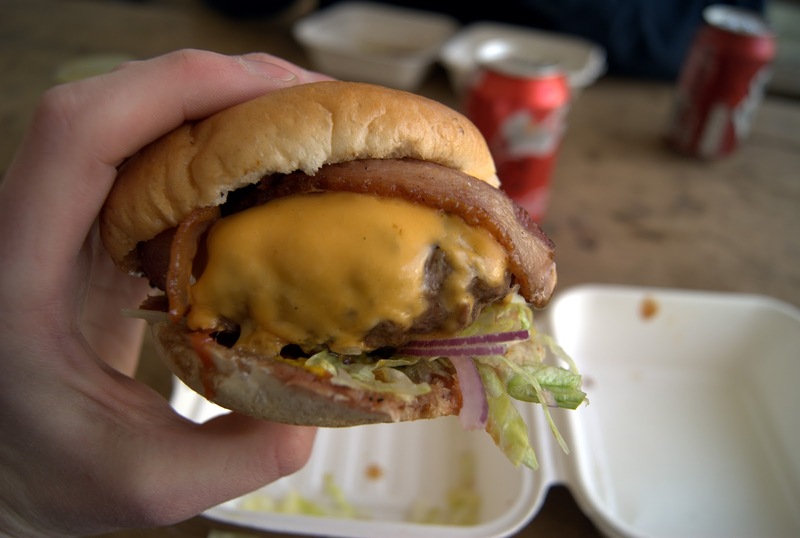 I just had a burger for lunch, and after looking at these pictures and reading your blog, i want more!! Thank you for sharing this!